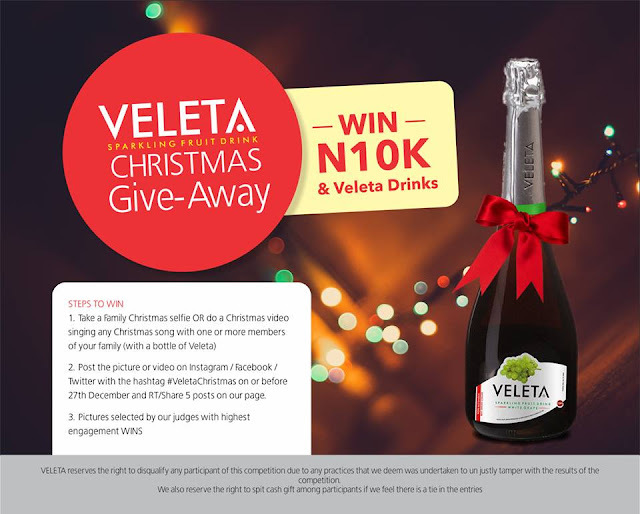 Christmas is coming early for Veleta fans. We have a special Christmas package. 2. Post the picture or video on instagram / Facebook / Twitter with the Hashtag #VeletaChristmas on or Before 27th December and RT / Share 5 Posts on our page. 3. Pictures selected by our Judges with Highest engagement WINS. Contest Ends on 27th December, 2017.